A judge has struck down the laws Wisconsin Republicans passed in December's lame-duck session of the Legislature, restoring powers to Democratic Gov. Tony Evers, if only temporarily. A county judge ruled Thursday that all of the laws and appointments passed by legislators were unlawful because they met in what's known as an "extraordinary session," which isn't explicitly allowed under the state constitution. Gov. Evers seized on the decision almost immediately, calling on the Wisconsin Department of Justice, led by Democratic Attorney General Josh Kaul, to withdraw the state from a lawsuit that seeks to overturn the Affordable Care Act. "As the governor has requested, please take whatever steps are necessary to remove Wisconsin from Texas v. United States," wrote Evers' chief legal counsel, Ryan Nilsestuen in an email to the Department of Justice shortly after the ruling was released. Evers and Kaul campaigned on leaving the case, but one of the lame-duck laws has prevented them from following through on their pledge. The ruling also temporarily struck down 82 appointments former Republican Gov. Scott Walker made during the waning days of his administration, all of which were confirmed by Republican state Senators in the lame-duck session. If the ruling holds, those appointments would now be Evers' to make. Evers issued a statement praising the ruling, calling it a victory for the people and one that preserves the Wisconsin Constitution. 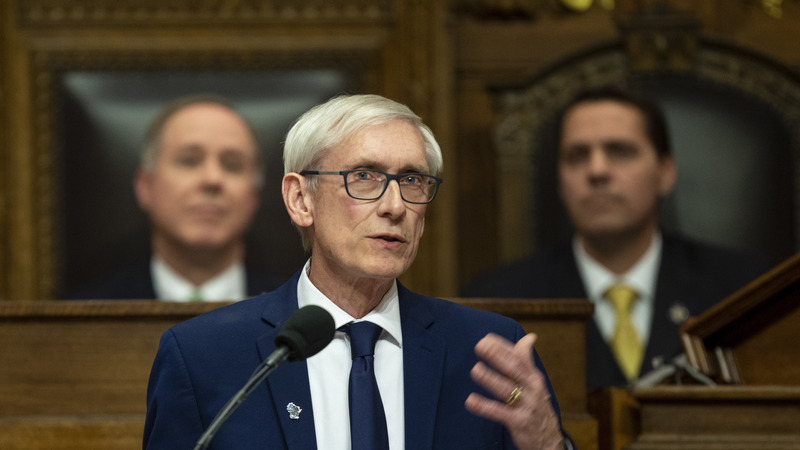 "The Legislature overplayed its hand by using an unlawful process to accumulate more power for itself and override the will of the people, despite the outcome of last November's election," Evers said. "I look forward to putting this disappointing chapter behind us so we can move forward together to put the needs of the people of Wisconsin first." What remains to be seen is whether a higher court will step in to block Evers from taking further action. Republican leaders Rep. Robin Vos and state Sen. Scott Fitzgerald promised to appeal the ruling, saying in a statement that it ran contrary to the way the Legislature had done business for years. "For decades the Legislature has used extraordinary sessions that have been widely supported by members of both parties," they said. "Today's ruling only creates chaos and will surely raise questions about items passed during previous extraordinary sessions." The lawsuit was brought by a coalition of plaintiffs that includes the League of Women Voters of Wisconsin, Disability Rights Wisconsin, Inc. and Black Leaders Organizing for Communities. A federal judge ruled against Republicans in January, blocking laws that were passed in the lame-duck session that limited early voting. Copyright 2019 Wisconsin Public Radio. To see more, visit Wisconsin Public Radio.